As you may have heard, I am stepping down as chief executive of Local Trust in August, due to personal commitments. My thanks and best wishes to you all - the energy, friendship and commitment for Big Local over the past six years has been fantastic. Applications for a new chief executive are now open until 15 August. 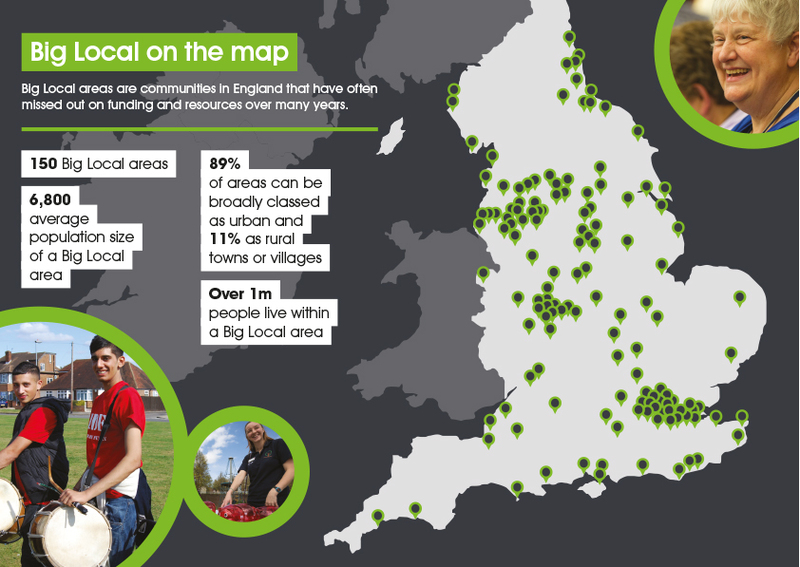 It’s amazing to see what Big Local has achieved since the first areas were announced in 2010. 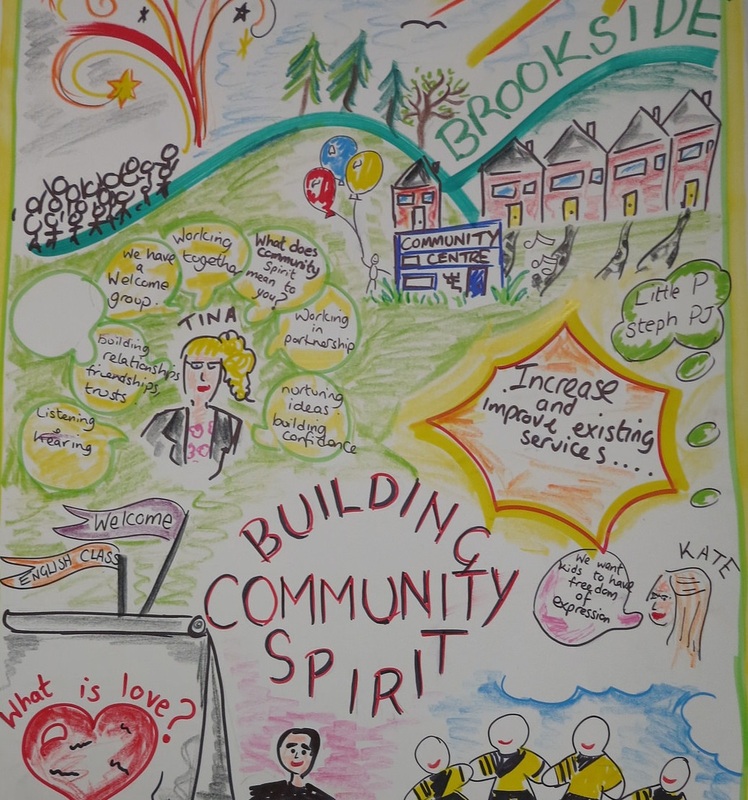 Our new Big Local booklettells the story of the programme so far and shows that community cohesion is firmly at the top of residents' priorities.New independent research has confirmed that the ability to take action together and influence change is emerging in Big Local. Residents working together to make their communities even better places to live continues to be crucial following Brexit, as I discussed in this blog. Below we share some great examples of what it looks like in practice. I look forward to following everything that Local Trust and Big Local go on to achieve! Our new booklet is for anyone who wants a quick overview of Big Local nationally. There are lots of key facts and case studies of Big Local residents in action - many thanks to the Big Local areas who feature! Big Local partnerships can use the booklet when meeting or emailing local decision makers and potential collaborators. Order print copies. Download PDF version. Find out about how they're building community spirit through their community centre, their welcome group for people new to the area, and their support for individuals with great ideas. Read more. The first stage findings of NIHR SPHR's Communities in Control study reveal how ‘collective control’ is emerging among groups of Big Local residents – the ability to take action together and influence change. Read more. Resources for Change have researched the Impact of Big Local in 20 areas. The most frequently reported types of impact for individuals included development of skills and confidence, and the most frequently reported collective/community impacts included improved community spirit. Read more. Our Bigger Story is a long term evaluation of Big Local using film, podcasting and other media to record learning, progress and insights from 15 Big Local areas. The report on the first year of the study is out now, with links to videos and media from the areas. Read more. Congratulations to Goldthorpe and Bolton on Dearne Big Local! 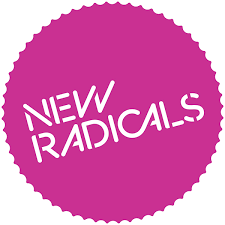 Their fantastic housing project means they have been named as one of 50 New Radicals 2016, as chosen by NESTA and the Observer. To tackle empty homes in their area, Goldthorpe and Bolton on Dearne Big Local partnership bought four empty properties from a private landlord. A local organisation is refurbishing the properties, creating seven new construction apprenticeships. Read more about the award on the NESTA website or check out the story of the project in this blog. Nominate your local government heroes! Do you know a councillor who is empowering residents to lead positive change? Recognise their contribution by nominating them as a Community Collaborator in this year’s C’llr awards - prestigious national awards for councillors run by LGiU. We're sponsoring the Community Collaborator category to celebrate councillors nationally who are supporting resident-led initiatives, including Big Local. We know that councillors who have a good understanding of and respect for resident-led projects are vital collaborators in getting residents’ ideas into action. Nominate now. The Big Lottery Fund's Celebrate! fund offers grants of between £300 and £10,000 for events or activities that will bring people together and celebrate what makes their local community special. To be eligible, applicants must be part of a constituted group which has its own bank account, so you may be able to apply through your locally trusted organisation. The Big Lottery Fund welcomes applications from voluntary or community organisations, schools and statutory bodies. Apply now. Our new Facebook group is a resource for people who do work on Big Local, including workers, locally trusted organisations and volunteers. It’s an open platform for people to connect and share ideas, experience and learning in a friendly and collaborative way. Visit the group. Using data for your Big Local plan: This event will tell you about different types of data available about Big Local areas and how this data can be used to help Big Local partnerships with planning and reviewing their activities. Tuesday 6 September, in Birmingham. Read more. Chairs action learning group: Sets of meetings to help you explore the task of chairing a partnership, develop new skills, and build a wider support network of other Big Local chairs and co-chairs. Starts Thursday 15 September, in York. Read more. We'll be announcing a new calendar of Big Local learning and networking events in September.Watch this space! To receive our newsletter by email, scroll to the signup box at the bottom of this page.